Heat a medium saucepan over low heat. Add both chocolate and butterscotch chips. 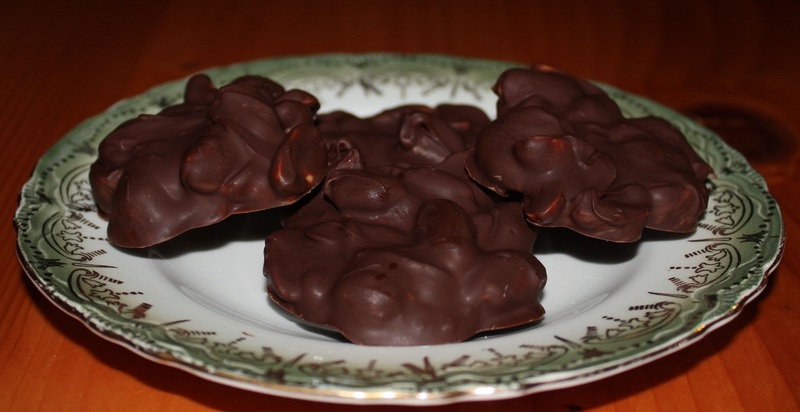 Add peanuts (or other ingredients), stir until thoroughly coated with chocolate. Spoon chocolate and peanut mixture onto wax paper. Refrigerate until set. (about 30-60 minutes). Keep refrigerated until ready to eat.